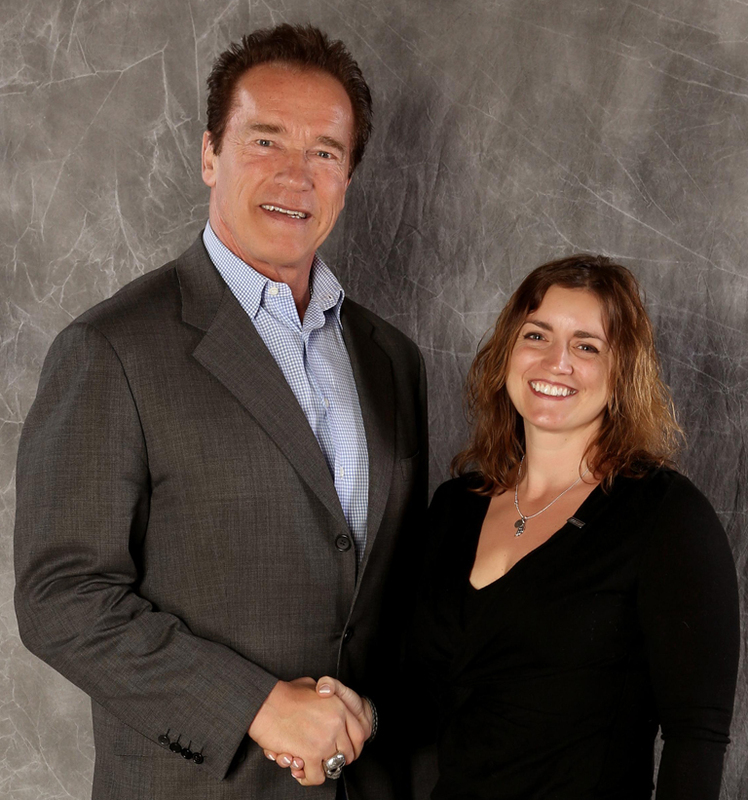 Daniella Cippitelli Abruzzo was part of an expert panel presentation held in conjunction with Governor Schwarzenegger's annual "Arnold Schwarzenegger Sports Festival," (the largest multi-sport festival in the nation with more than 20,000 athletes competing in more than 45 sports - more than the Olympics). "The dedicated professionals, champion athletes and Masters of Fitness Design participating in this one of a kind event represent some of the best of the fitness world." After running her first half marathon as a charity fundraiser for the Magic Happens Foundation (magichappensfoundation.org), Daniella flew almost immediately to Columbus, Ohio to serve as an expert presenter at a ground breaking conference; The ICA 21st Annual Council on Fitness & Sports Health Sciences National Symposium on Natural Fitness with Keynote Arnold Schwarzenegger. Following Governor Schwarzenegger’s keynote address, Daniella Cippitelli Abruzzo was part of an expert panel presentation held in conjunction with Governor Schwarzenegger's annual "Arnold Schwarzenegger Sports Festival," (the largest multi-sport festival in the nation with more than 20,000 athletes competing in more than 45 sports - more than the Olympics). This important event brought together leaders in pro & Olympic sports, fitness, wellness, research and sports science, all to promote cutting edge education and support for individuals in need of this care around the world. "The dedicated professionals, champion athletes and Masters of Fitness Design participating in this one of a kind event represent some of the best of the fitness world." So say Dr. Jack Barnathan, who created this conference with Arnold Schwarzenegger 21 years ago. "Among the innovators and educators in this new professional specialty, Daniella Cippitelli Abruzzo stands among the best. Her contribution to this conference was invaluable." Daniella Cippitelli Abruzzo is in high demand for public speaking engagements. She is the President/Co-Owner of the internationally acclaimed ILoveKickboxing.com franchise along with being the founder of the non-profit charitable organization Magic Happens Foundation.